Los Angeles, March 27, 2019 - CineCert, Marquise Technologies and Venera Technologies have collaborated to offer the ready-to-use seamless integration of a media asset management solution (Pakanu) with a mastering (MIST) & QC player (ICE) system and an automated file based QC solution (Pulsar). The COMMA (COMponentized Media Asset) Workflow, is the common name for this integrated environment of solutions that natively understand DCP and IMF packages and can provide an intuitive and easy to use workflow to author, QC, and manage these complex structures. When working with content like DCP or IMF packages, existing workflows are quickly overwhelmed by the complexity of managing XML files and bulk assets. The COMMA Workflow provides the user with a flexible and intuitive solution while making the underlying technology transparent. “The efficiency promises of IMF require seamless access to a shared asset repository such as CineCert Pakanu at all stages of production. For the first time, using the COMMA Workflow, IMF end users will be able to experience a seamless transition of workflow steps from station to station. The use of COMMA Workflow enabled IMF workstations allow Editorial, QC and data I/O operators to concentrate on their roles“ said Dean Bullock, COO of CineCert Inc.
“The bricks had been there for a few years, it lacked the cement so that finally the full capabilities of a component-based workflow are demonstrated: efficiency, rationalization of costs and storage, and scalability for the volumes to be processed. The use of MIST and ICE within this integration multiplies their capabilities for the mastering & QC of premium content, especially in 4K HDR” said Laurence Stoll, CEO of Marquise Technologies. “The value of Pulsar’s advanced capabilities in automated QC of IMF packages is further enhanced as part of this integration, providing a seamless workflow where the findings of Pulsar QC are made available to the user within their workflow exactly when they need it in a user friendly way. The value of the sum of our products is much larger than each of them separately. For those who are serious about IMF and the associated workflow, using the COMMA Workflow integrated solution is the way to go!” said Fereidoon Khosravi, SVP, Business Development at Venera Technologies. CineCert Inc. is a software development and consulting company specializing in automated workflow for digital media content management. CineCert provides industry leading tools for the mastering, packaging, validation and management of digital cinema and IMF content, and for the generation and management of key delivery messages for secure theatrical distribution. We also provide consulting services related to our software and to the development of industry technical standards, which gives us an important voice in influencing the technologies that will be relevant to future industry workflow processes. Marquise Technologies designs state-of-the-art solutions for the cinema, the television broadcast and OTT industry. The company addresses post-production facilities and digital film labs and provides them with high-end solutions for image processing, mastering and quality control for Digital Cinema & UHDTV. Since its inception in 2003, Venera Technologies has continually provided cutting-edge file-based QC solutions to the digital media industry, tailored to the evolving requirements of its customer and the industry. Venera’s flagship offering, the Pulsar™ automated file-based QC solution for on-premise deployment, is the world’s fastest File based Automated QC system that is used by some of the largest Media companies in the world, as well as a number of smaller boutique post houses and production companies. 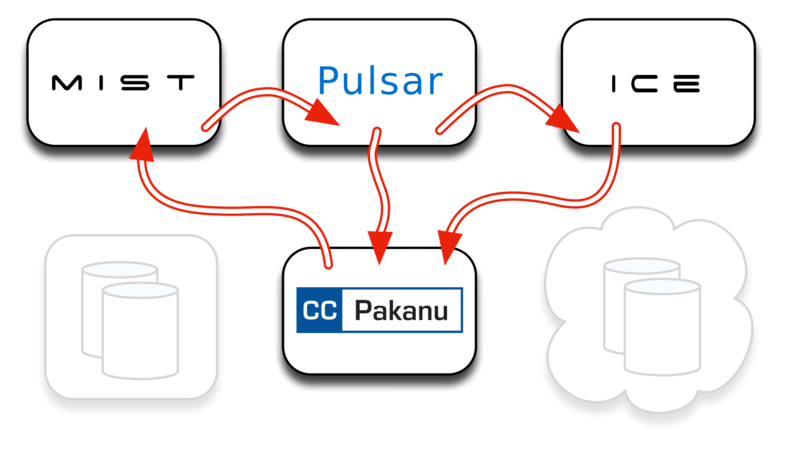 And Venera’s Quasar™, the first native cloud-based QC service, provides the same QC functionalities as Pulsar, developed natively for the Cloud environment with features such as dynamic scalability and usage based pricing model to meet today’s advanced cloud-based digital workflows.